There are many large and beautiful cities in the world, be it Paris, London, New York, Sydney, Hong Kong or Tokyo. However, few cities offer the traveller – whether young or old, individual tourist or a school excursion such a wide variety of impressions, sights and stimulations as the ‘Eternal City’ on the Tiber. When one says Rome – one implies history. Here one feels like the history is practically alive making it so different in comparison to the dry history-books or boring Latin lessons. Rightly so, as Rome is one of the world’s culture capitals. Since 1871 Rome has been the capital of the Republic of Italy. In ancient times Rome was for its time a gigantic metropolis with over a million inhabitants. During the period of migration this number fell to just 20,000; it took centuries before the population recovered. Only in 1936 did the number of inhabitants reach the ‘one million’ mark. Today Rome is once again the largest city in Italy and has a population of approximately 2.7 million, with almost 3.5 million living in the vast city. 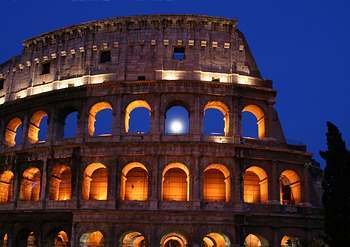 Although the official founding date of Rome was the year 753 BC, several settlements existed there long before this date. It is hardly an exaggeration to say that the city has been inhabited continuously for more than 3000 years. Despite the population of Rome being surpassed by many other world metropolises, few other cities can beat the eternal Rome on the number of sites it has. One almost stumbles over ancient buildings, monuments or graves. Furthermore, there aren’t just sights from the time of the Caesars – the Middle Ages and more modern times are represented by many sights and worthwhile tourist attractions. 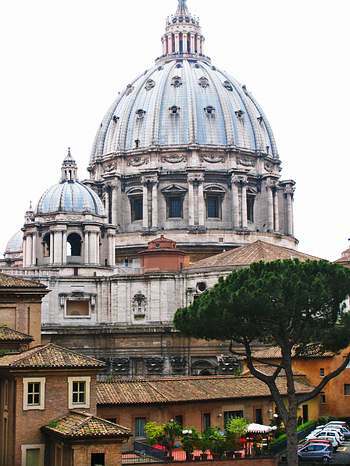 Part of the city on the seven hills is the Vatican City. Being smaller than 0.5 square metres in size and with 900 nationals it is the smallest country in the world and lies as an enclave in the middle of the city of Rome. There will hardly be a visitor to the city of Tiberius that does not pay a visit to the Vatican City – at least to those parts open to the public. Especially on major religious occasions e.g. Easter when the Pope delivers his famous blessing “urbi et orbi”, thousands of believers from all over the world crowd onto the famous St. Peter’s Square. Besides this the Vatican City has unique art treasures and cultural heritage to offer. One thing that should by all means be remembered when visiting Rome: staying in the Italian capital is stressful. There is so much to see and experience that one can under no circumstances see everything in a few days. In addition, Rome is a first class international attraction not just for tourists but also for politicians, scientists and the jet-set. Accordingly large are the crowds that appear at the famous sights; one shouldn’t be afraid of people. Also for the calm and solitude-treasuring nature lovers Rome is not a good holiday destination. If however one is willing to patiently endure the inevitable hardships, one will be rewarded with impressions that you can keep for the rest of your life. Even if one has seen the famous buildings of Rome many times on the television or cinema – nothing can replace first hand impressions and personal experiences. The atmosphere of a city has to be experienced first hand. For this reason a trip to Rome is definitely worthwhile.